R2D2 and BB-8 at The ngôi sao Wars Celebration. From the ngôi sao Wars: The Force Awakens panel at the ngôi sao Wars Celebration 4-16-2015. 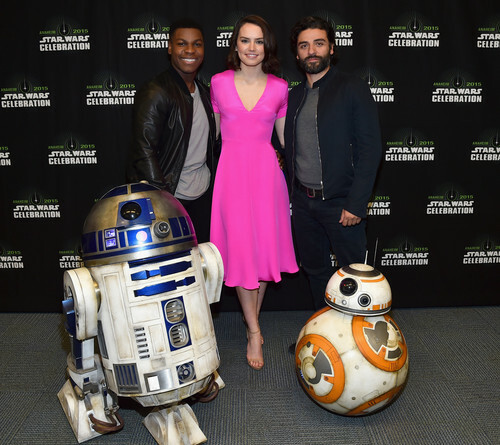 HD Wallpaper and background images in the Chiến tranh giữa các vì sao club tagged: photo the force awakens official star wars celebration disney. Singing! If bạn don't like Gungans and bạn know it hit'em in their face!